SINTUNG is a ratchet-operated lopper head accessory for the Silky Hayauchi pole saw series. 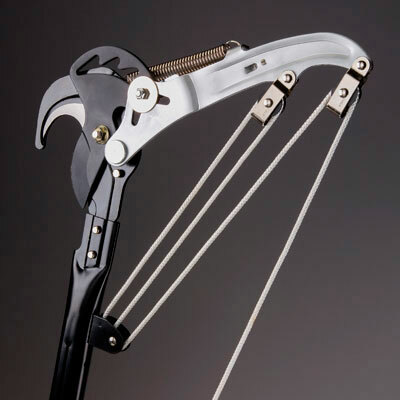 It offers precise, easy pruning of branches up to 2-inch (50 mm) diameter. Comes with 17.6' of pull cord with a wooden handle and a loose 6.7' in the bag to add length. SINTUNG features a high carbon steel cutting blade which has been fully heat-treated and Teflon-S coated to ensure smooth cutting. 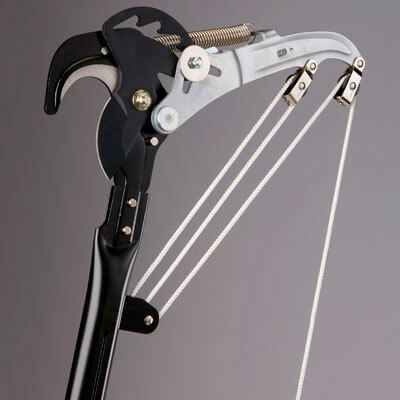 SINTUNG uses a double pulley system and a four-position ratchet mechanism that allows lopping of thick branches with minimal effort. SINTUNG is supplied in a tough, protective draw-string pouch. The Sintung is an extremely high-quality product designed to match Silky quality and is manufactured by third party OEM.